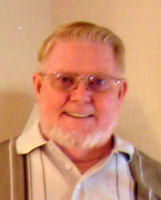 Clayton Lloyd Amos, Sr., 79, of Frankfort passed away Wednesday, December 17, 2014 in his home. He was born on March 10, 1935 in Frankfort to Dorsel B. and Ida M. (Snyder) Amos. Clayton attended Frankfort High School and was a mold technician for Crellin, Inc. for 27 years retiring in 2000. He was awarded the Golden Eagle at the Frankfort Eagles Lodge Aerie 976. He was preceded in death by his parents, son: Charles Kevin Amos, and sister: Barbara Amos/Baker. urvivors include his Sons: Jeff (Shari) Amos of Greenfield, Dorsel (Carrie) Amos, and Clayton (Lori) Amos Jr. both of Frankfort; Daughters: Samantha Godby of Frankfort and Lou Ann (Dennis) Morrow of Delphi; Step-Son: Brian Yakovich of Frankfort; Step-Daughter: Donna Yakovich of Frankfort; 9 Grandchildren and 6 Great-Grandchildren. A memorial service will be held at 7 p.m. Monday, December 22, 2014 at Archer-Weston Funeral & Cremation Center. Friends may visit one hour prior until the time of service. Memorial donations may be made in Clayton's honor to Clinton County Cancer Fund with envelopes available at the funeral home. You will be greatly missed, Uncle Clayton. May you rest in peace. Love you! I am so sorry to hear about his passing. My thoughts are with you Sam and your family. I will miss you Clayton.Prayers for your family. He will be missed by many. Knew him from Crellin. May he rest in peace. We are very sorry for your loss. He was a very nice and kind man. Prayers for peace and comfort for his family.He will be missed. Thoughts and Prayers to the family. His kindness and thoughtfullness will always be remembered. RIP Clayton you will be missed.